EVery Day is a Gift: WANT TO EARN EXTRA INCOME WHILE AT HOME? Just to give everyone a picture on how SFI Marketing Business is doing lately I would like to share with you its latest Global Growth Report. 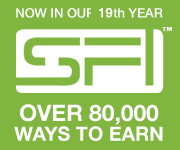 These statistics will present to everyone the fast coming of new affiliates to SFI. For more stats, see SCOREBOARD"